We offer FREE Shipping for any order totaling $100 or more. 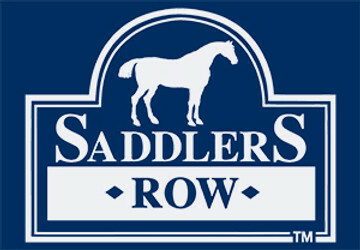 All saddles ordered from Saddlers Row are assessed a $44.90 fee for shipping and insurance. We will happily accept returns of merchandise within 30 days of purchase for a full refund, less the cost of shipping. Orders that were processed with free shipping will be refunded minus a $9.95 shipping fee. Exchanges will be charged a $9.95 shipping fee. Sale items are sold as is with no returns or exchanges. The returned merchandise must, of course, be in new condition with its original packaging. Please note that we have special requirements with regard to the trial and sales of new and used saddles (see Saddle Trial Policies). Please email customerservice@saddlersrow.com for further assistance with returns. Saddlers Row takes the security of your online transactions very seriously. Therefore, we require that your billing and shipping address match. If this is an issue, you may call us at 888-701-7171 to make other arrangements. If your financial institution cannot verify your address, you will be contacted via email or phone. If we are unable to verify your address within 10 days, your order will be cancelled. Thank you for your cooperation in this matter. We take all steps necessary to protect our customers, especially when it comes to identity theft. If you have any questions/concerns and would like additional information, please contact us at 888-710-7171.